I made work-in-progress preview version of Granity available for download so one can already take a look around it and perhaps even provide some initial feelings about it! I also added a new poll about how you would like the software to be distributed. The first Argon units were shipped today! This is the last production batch which is distributed directly from Tampere because in the future we will use a warehousing & fulfillment service which yields faster delivery times around the world. 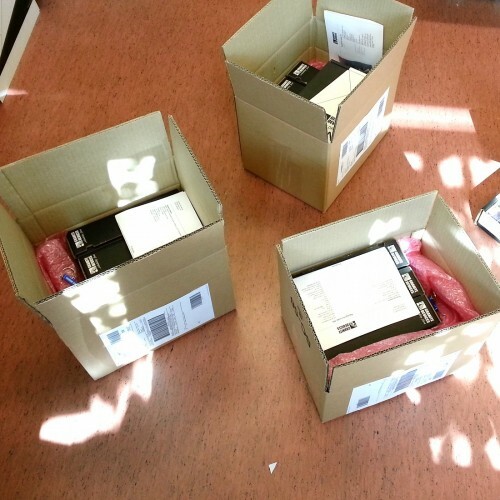 The first Argon units packaged & ready to go! On the next post I will give a preview version of Granity software for download. Stay tuned! 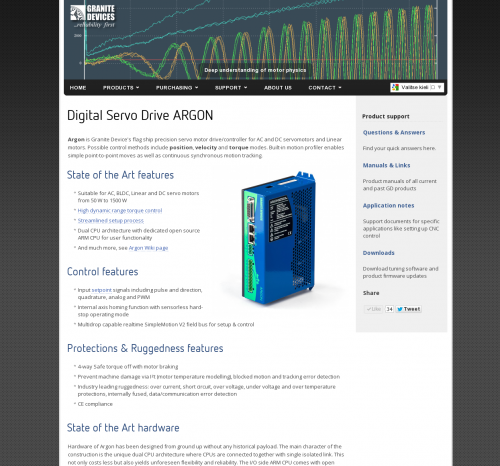 ARGON servo drive in stock & shipping! After Argon prototypes have been inspected, analyzed, measured and stress tested in every imaginable way and found no flaws, we have no choice but start believing it’s as good as it needs to be! 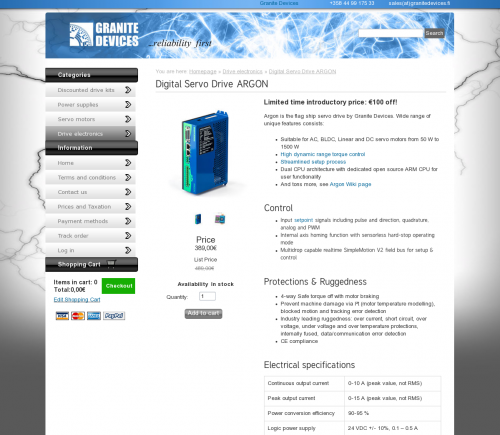 This is a great day for me and Granite Devices – Argon servo drive hardware is now fully completed and officially available worldwide via the web shop! Argon is launched with an limited time introductory price of 389 eur/pcs while the normal price is 489 eur/pcs. 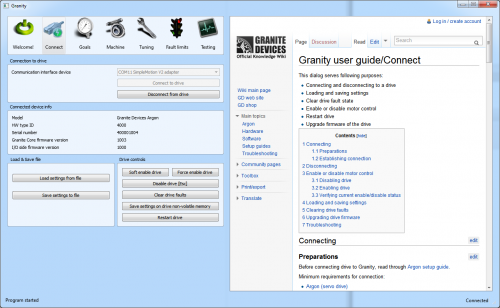 While hardware is being shipped to the first customers, Granity configuration software and documentation Wiki will be finished and made officially available. So if one receives drive within next days, one may need to wait some time for Granity become available before drives are usable. “If a thing is worth doing, it’s worth doing well.” That could describe the ideology behind the quality assurance procedure designed for the Argon drives. The testing hardware & software platform is now fully complete and I did already run the tests for the drives I have in my hands now. This means, drives are being now prepared for shipping! There will be a dedicated post when items are placed to our web shop for ordering. It could be today or tomorrow!